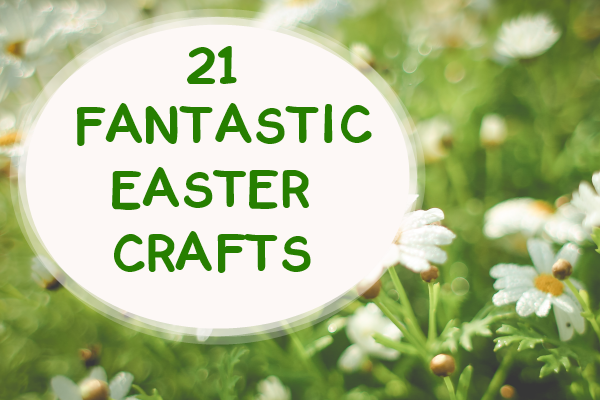 Looking for a fun Easter crafts for kids or for yourself? Whether you’re a natural born crafter, love to crochet, enjoy trying artistic cooking or baking ideas or just want to delve into whatever Easter crafts catch your fancy, you’re sure to find something on this list that you can’t resist trying. If you like to crochet, check out this adorable pink crochet Easter basket with pictures and directions courtesy of Fave Crafts. 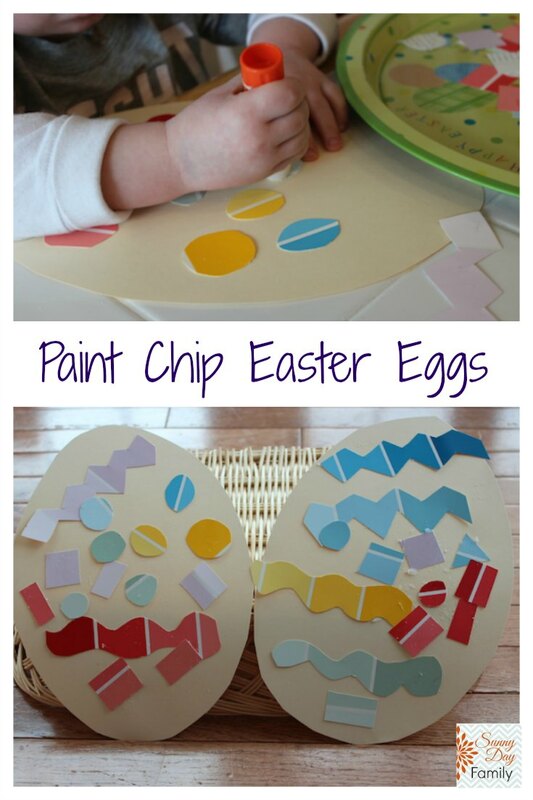 I can’t wait to try this great idea for using up paint sample chips – paint chip Easter eggs. I just need to get my hands on the stack of paint chip samples I had the other day! Check out this fantastic craft for kids and grown-ups at Sunny Day Family. My daughter (now 11 years old) used to love making origami figures from a book I bought her called Easy Origami . 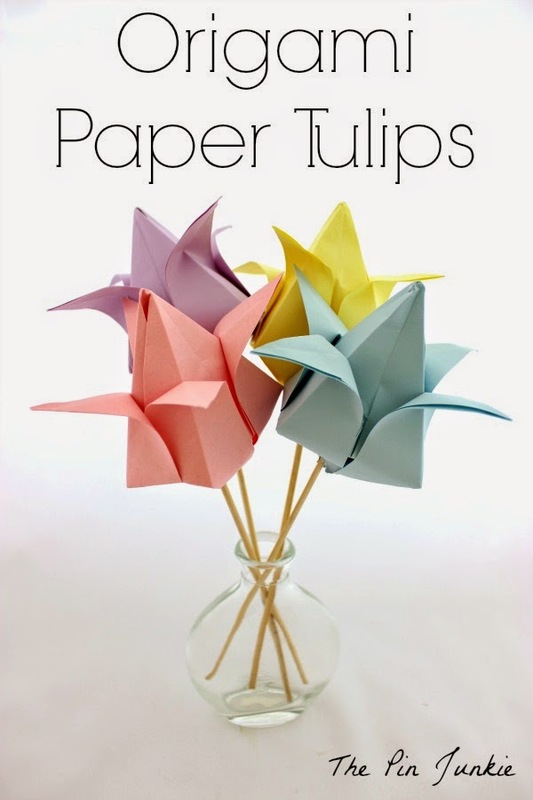 The Pin Junkie offers instructions on making beautiful origami tulips, for Easter, weddings, birthdays or any special occasions. I’ve seen instructions for rag rugs, but couldn’t find the time to devote to them (and wasn’t sure if I was brave enough to even try). Silly Old Suitcase’s awesome crochet basket from rags looks like something I wouldn’t mind taking on. Ever have an old cookie sheet or jelly roll pan that’s too stained or beat up to keep using for its original purpose? I can’t tell you how many of these I’ve trashed over the years. With these great Hometalk instructions for a spring magnetic board, I know what I’m doing with the next cookie sheet I replace. Creekline House’s tissue paper pompom instructions bring back memories of making these when I was a kid in Girl Scouts. I haven’t thought about making these in many years, but I’m glad I came across these directions so I can make them again sometime. With just a wire wreath frame, pinking shears and a dozen sheets of felt in multiple spring colors, you can make this amazing, colorful wreath from Ask Anna. Kids will love making these cute bunnies out of extra socks with a how-to article from A Pumpkin and a Princess. You’ll also need some googly eyes, felt, pompoms, ribbon, clear rubber bands and rice. Here’s something else creative to do with leftover paint chip samples from home improvement stores – paint chip Easter garland, with wonderful instructions from Modern Parents Messy Kids. 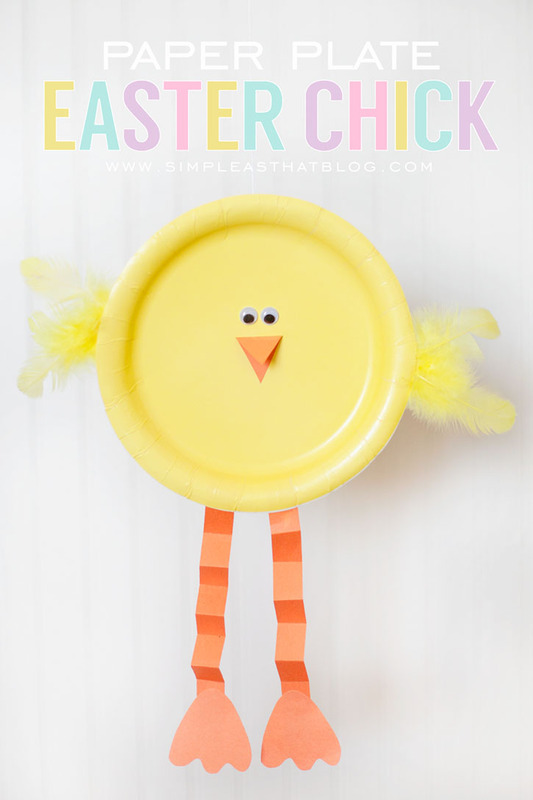 With these instructions from Simple as That along with yellow paper plates, googly eyes, a glue stick, feathers, felt and scissors, you can make these creative Easter chicks with your own little chicks. For Classy Mommy’s marshmallow bunny artwork, you’ll need a bag of mini marshmallows, plus googly eyes, pink pompoms, scissors, glue, construction paper, a pencil and white crayons (and the ability to keep everyone from eating all the marshmallows – better make that TWO bags of mini marshmallows). With Everyday Dishes’ illustrated instructions, you can make a cool Easter basket out of stiffened felt with a hot glue gun, burlap, ribbon, scissors. ruler, pencil and some embellishments of your choice. You’ll need a Babycakes Mini Cake Pop Maker to make these delightful little yellow baby chicks with directions and illustrations from Little Delights Cakes. Yes, I know this is more of a recipe than a craft, but it’s definitely creative, right? Put together this spring wreath from Keaping it Real with just a wreath base, some fluffy green yarn and a bunch of flower buttons. Bajan Texan shows you how to easily make a beautiful tissue paper spring wreath. Okay, so this isn’t technically a craft, but these baby chick cupcakes from Domino Sugar’s website are so darn cute and creative, I just had to include them in this list. They require a standard box of cake mix plus a few ingredients that you probably already have on hand (such as eggs, milk, flour, etc.) plus some shredded coconut, mini candy-coated chocolates and orange jelly beans or gumdrops. Deck out a white door as the Easter Bunny with these cool instructions from East Coast Mommy. She used painter’s tape and bristol board tape along with some colored paper and small craft pompoms. 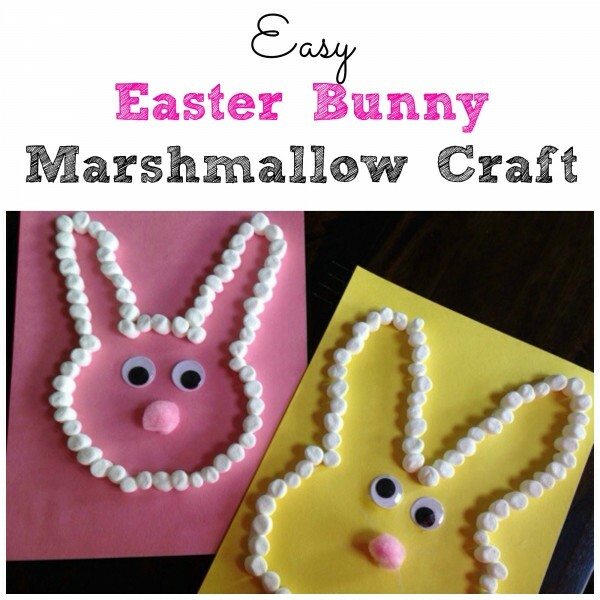 Add this to your list of fun Easter crafts for kids. Kids love coloring Easter eggs, and nearly everyone loves the adorable Minions from the “Despicable Me” films. A Thrifty Mom shows you how to make Easter eggs that look amazingly like Minions. Here’s another ingenious idea for decorating Easter eggs that doesn’t involve simply dipping them in a tub of dye and slapping some stickers on them. Jenna Burger shows you how to make melted crayon Easter eggs – another sure-fire kid-pleasing Easter activity. You won’t believe this amazing fruit salad in the shape of an Easter bunny head! It looks challenging, but I’ll bet you could do it. One Thanksgiving, we made a turkey out of fresh vegetables just from a picture my mom found online. My mom cut up the veggies, my daughter and niece “helped,” and I actually did most of the design, much to my amazement. Maybe we’ll try the bunny fruit platter from Worth Pinning as our next challenge. The Vintage Umbrella presents another wonderful idea for using up paint chip samples – paint chip bunny garland. Kids will love cutting out bunnies from paint chips and decorating them with eyes, nose and mouth. Have you tried any of these wonderful ideas? If so, please comment below and include a link to a photo of your masterpiece! ***Please follow me on BlogLovin!